Rotterdam, The Netherlands – February 20, 2014 – LISTEQ, the global leader in easy and affordable software products for Desktop Virtualization and Remote Desktop Access, announced an agreement with Polysight Optoelectronics for the delivery of BoXedVDI software to be incorporated in MultiSeat and Zero Client products. The agreement includes a substantial minimum commitment from Polysight. LISTEQ BoXedVDI provides native support for DisplayLink and SMSC based USB devices, like USB monitors and Zero Clients. Polysight, as reseller, will integrate the software for the major hardware suppliers of USB devices in their region. There are a substantial number of suppliers of USB hardware (like monitors and Zero Clients) based on DisplayLink and SMSC. Polysight has access to these suppliers, opening up a huge market opportunity. To further support this, a full Chinese language version is now available. “This agreement provides us with a strong foothold in the large Asian market of hardware suppliers. Any hardware supplier providing USB devices can easily upgrade their products with our BoXedVDI software to a full end-user solution.” said Simon Overgaag, CEO of LISTEQ. 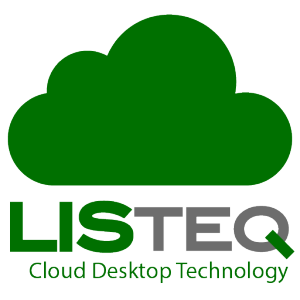 LISTEQ delivers easy and affordable software products for Desktop Virtualization and Remote Desktop Access. – Cloud Desktop. Virtual Desktops in the Cloud (BoXedVDI). – BYOD. Access Clients for all platforms (Windows, Android, iOS, Ubuntu and HTML5) and all devices, including DisplayLink and SMSC based monitors/Zero Clients.